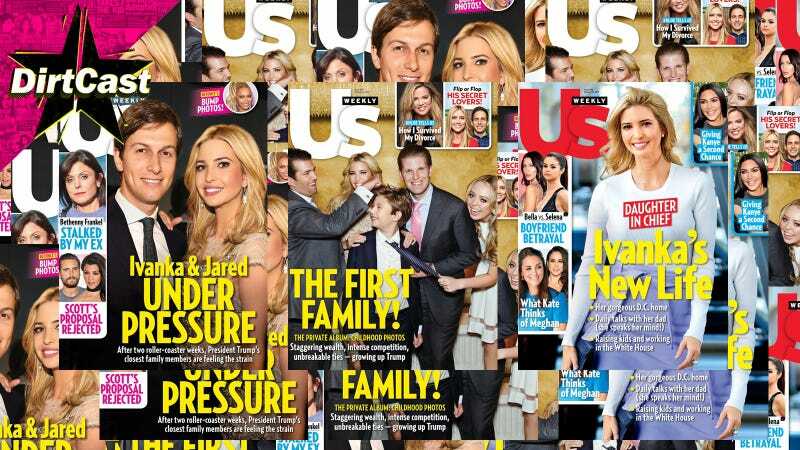 The latest episode of DirtCast is live and this week we’re talking all about Us—not the fake NBC family that makes everyone cry, but the magazine that was just sold to David Pecker’s American Media (publishers of The National Enquirer and Radar Online) for $100 million. Former Deputy Managing Editor of Us Weekly Amy Vinciguerra dropped by the studio for a delightful chat about being at the magazine during its heyday. In addition to some comments regarding the magazine’s recent sale, Vinciguerra recalled the grueling (though rewarding) hours, the publication’s surprising relationship with celebrities, and what it was like to work under the great Janice Min (EIC from 2003-2009). DirtCast can be found on iTunes, Stitcher, Spotify, Google Play, and iHeart Media.